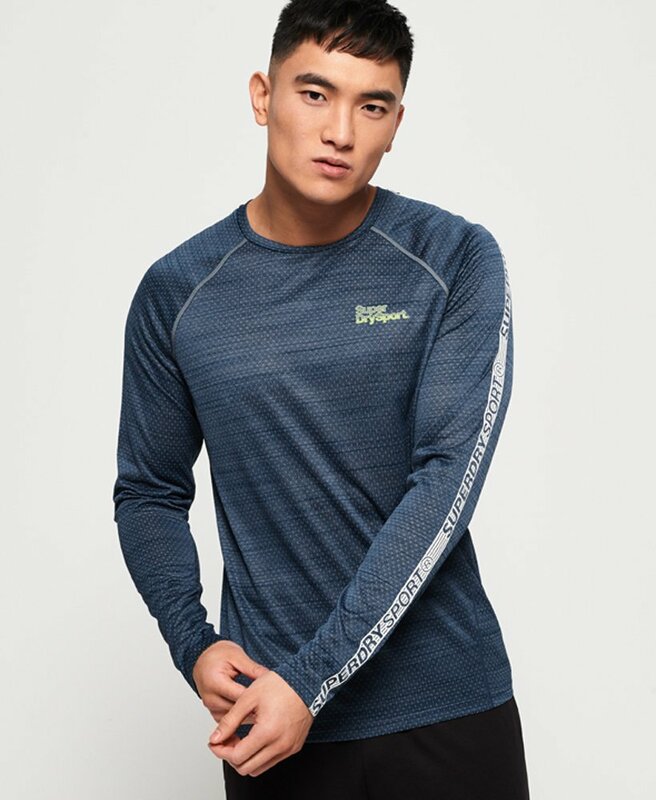 Superdry men's Active microvent long sleeve t-shirt. Push for progress and smash your goals in the Active microvent long sleeve t-shirt. Crafted from a lightweight, breathable fabric for freedom of movement while you workout, this t-shirt is a must in your workout wardrobe. Featuring a crew neck and Superdry logo detailing down the sleeves, the t-shirt is completed with reflective logo detailing on the chest and on the reverse. Pair with shorts or joggers to be workout ready.